An ammunition system designed for practice and new shooters, Winchester’s Training Defense line offers everything you need to become proficient at using self-defense ammunition. 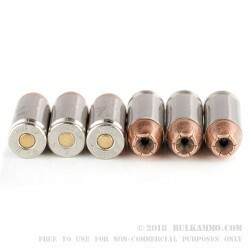 This innovative pairing includes separately packaged training rounds, as well as defense rounds that are ballistically matched to offer the same shooting experience, to allow you to train without using self-defense ammunition. 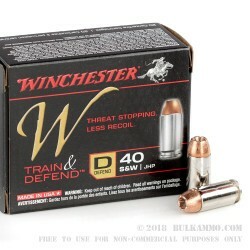 The “T” or training ammunition features leadfree primers; while the “D” or defense rounds utilize a bonded core and jacket for maximal weight retention and expansion and self-defense situations. 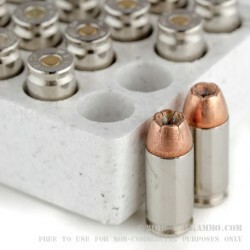 Both types of ammunition are designed for less recoil, allowing for better muzzle control for new shooters. This box of “D” .40 S&W self-defense ammunition is equipped with a 180-grain jacketed hollow point projectile and encased in boxer-primed, noncorrosive reloadable brass and is an excellent home and self-defense round. 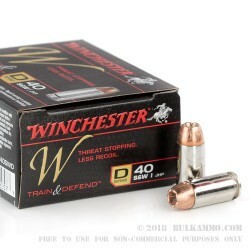 Each box of Winchester “D” .40 S&W includes 20 rounds. An American legend, Winchester has produced iconic firearms and ammunition for more than 150 years.